HYDERABAD: The empowered woman is powerful beyond measure and beautiful beyond description. Trisheetaa Tej, young entrepreneur, writer and clinical nutritionist from Hyderabad, who is one of the five delegates from India at the BRICS Youth Leadership Seminar, Russia, going to be held from April 20 to 27 for her startup Pencil9, has a similar belief. In the seminar, Trisheetaa will be speaking about her journey, her enterprise, women empowerment and how to build relations within all BRICS countries. 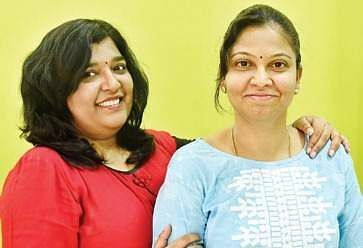 At 23, she founded Mystique Mantra, an advertising and event management company and three years ago, when she took a break of six months after getting married into a south Indian family, she met many other women from different walks of life who were university toppers, gold-medalists and had good educational background, but could not work post marriage. 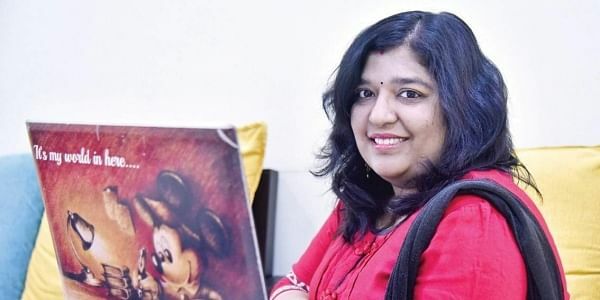 “One fine evening over coffee, I told my husband Arun Tej, a marketing and media professional, about how many talented women are on forced long breaks and he suggested that I start something that can give such women an opportunity to work from home and join the employee stream. Thus Pencil9 was born,” she says. “We have around 240 women lworking with us from different kinds of background, engineers to doctors, B.Com graduates to advertising-professionals, technical-professionals to MBA graduates. The writers are spread across the world. Of them 30 are from Hyderabad. We work with all kinds of industries and cater to all kinds of domains, whether it be fashion, medical, food, travel etc,” she explained. “The firm does not work for a profit motive and the workers are offered flexibility and convenience to work whenever they want,” she remarks. Pencil9 is a simple work-from-home idea which provides writing solutions to the clients across the globe. One can earn anything from `500 to `50,000 “We have lot of clients, Indian and international as well. There are regular clients and project-wise clients also. We work with all kinds of industries including fashion industry, hospital, hotels, travel etc. We are basically into content writing which is all about digital marketing. We work for anything which requires writing, whether it be a company profile, employees worksheet, presentation. Nowadays, companies want one-stop-platform where they can promote themselves in virtual media, that is where we come in,” said the writer. After a selection process that involves a test assignment, she takes writers on board based on their language, content, grammar and research abilities. The testament of her hard-work and dedication are the numerous awards that she won including The Indian Leadership Awards in the ‘Excellence in Advancing the Dignity of Women’ category through her startup, ‘Best social leader of the year 2017’ chosen by MSME, Govt. of India and BRICS International Forum, and ‘International Women Entrepreneur of the Year 2017.’ Pencil9 has recently gained the ‘Best International Startup of the Year 2017’ award.